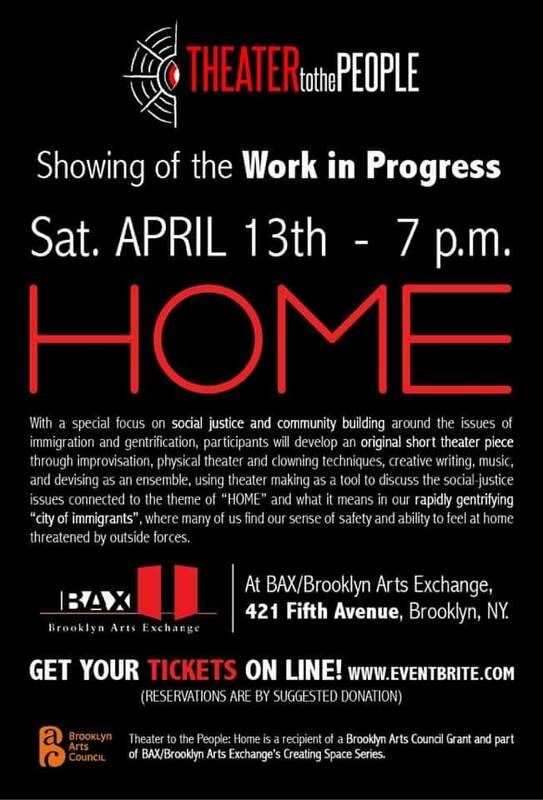 Theater to the People: HOME will share a work-in-progress at BAX/Brooklyn Arts Exchange on Saturday, 4/13, 7pm. On May 25th, The Reverse Engineers will open up for the Lousekateers at their album release party at Yonkers Brewery. 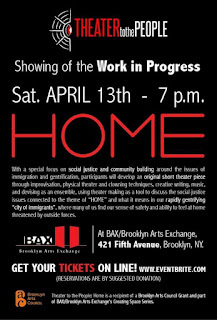 Really excited to have made the connection to their bass player Valerie, and this great band!